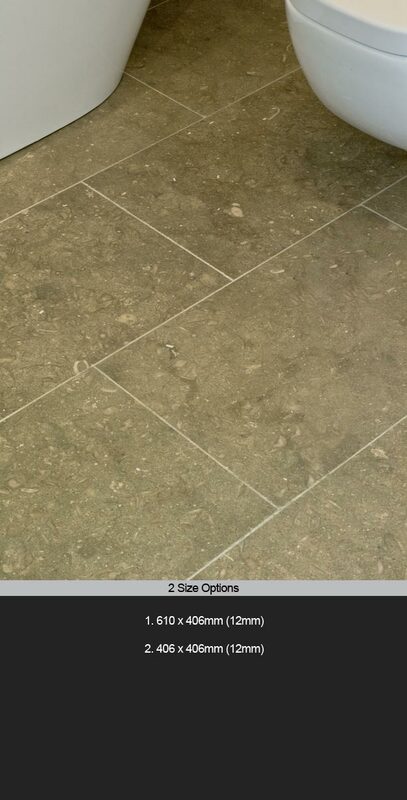 Sea Stone is a unusual but attractive greeny brown honed limestone which is only 12mm thickness. This flooring stone has lots of attractive natural sea shell content as well as interesting fossil movement, all producing a unique stone. * Lots of nice sea shell content. * Honed tiles with square edges. * 2 x stone tile sizes. * Priced per metre square.